You'll Enjoy Really Good Tasting, Flavorful Food! A low sodium diet or salt-free diet is all about getting the salt and sodium out of your food and getting flavor in. Bensons Gourmet Salt-Free Seasonings are all about adding flavor without adding salt and no potassium chloride. Low sodium diets do not have to be bland. You'll find your low sodium diet can be both heart healthy and delicious. 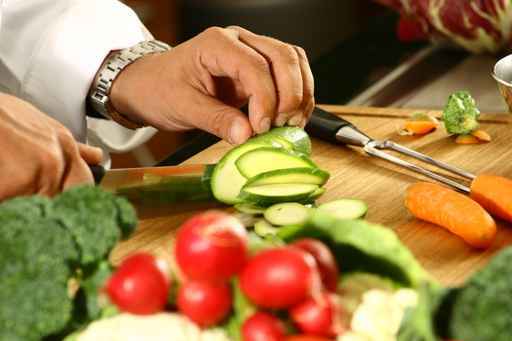 We will help teach you how to prepare tasty, healthy, salt-free food. All of Bensons Gourmet Seasonings are salt-free, sugar-free, contain no preservatives, no msg, no potassium chloride and are wheat free and gluten free. Each seasoning has between 13 and 19 different herbs, spices and vegetables. Real ingredients for amazing aroma and great flavor. Now you can enjoy your lower sodium food. Many of you who come to Bensons Gourmet Salt-Free Seasonings' website are searching for a really good salt substitute. Preferably a no potassium chloride salt substitute. You found it! Bensons Gourmet Salt Free Seasonings offers a very special, very tasty, all natural, no potassium chloride salt substitute called Table Tasty. Table Tasty is a No Potassium Chloride Salt Substitute. Table Tasty salt substitute has a nice salty flavor with no bitter after taste. It just tricks those taste buds to thinking it's salt. You will be pleasantly surprised and it helps take care of those salt cravings. Adds flavor to your usually plain vegetables, especially potatoes, fresh tomatoes, and corn-on-the-cob. Add to soups, sauces, and gravies, salads, salad dressings, and sprinkle it on cottage cheese. Great with eggs, in egg salad, deviled eggs, omelettes, hard boiled eggs, and more. Really brings life to any bland food. It helps you enjoy your food. Table Tasty Salt Substitute may be the salt-free seasoning that helps you most when you begin your low sodium diet. As it's the Table Tasty Salt Substitute that gives you that nice salty taste you miss most, especially while your taste buds are adjusting to being salt-free. Just using Table Tasty Salt Substitute is not enough. You must learn to add flavor to your food, not just make things taste salty. That's where Bensons Gourmet Salt-Free Seasonings for cooking come in. Adding Bensons Seasonings, while your cooking will add tremendous flavor to your food. And you should cook with a variety of salt-free seasonings because if you use just one salt-free seasoning on everything, pretty soon everything tastes the same. You've heard the saying, "Variety is the spice of life". It's true. Supreme Garlic & Herb Salt-Free Seasoning, (#110) Ingredients listed, is our most popular blend, for poultry, pork (lighter meats, fish, seafood), vegetables, lighter pasta dishes. Gusto Garlic & Herb Pepper Salt-Free Seasoning, (#106) Ingredients listed, for baking/roasting, broiling, barbeque, and grilling. This is the most all-around blend. Best when browned but good on everything. Use on steaks, baked chicken, grilled fish, and fried potatoes. Masterpiece Mediterranean Salt-Free Seasoning, (#112) ingredients listed, think of a hearty Italian seasoning with a little cumin. For beef, lamb, ground meats (chicken, beef, and turkey), soups, stews, beans and heartier pasta dishes. Zesty Lemon & Herb Salt-Free Seasoning, (#104) ingredients listed, use for fish and seafood dishes, salads, steamed vegetables. Calypso Jamaican-Style Hot & Spicy Salt-Free Seasoning, (#107) ingredients listed, not as hot as a true Jamaican Jerk seasoning but not wimpy. Good with everything. Table Tasty No Potassium Chloride Salt Substitute, (#103) ingredients listed, is an all natural, gourmet quality, salt substitute. Many doctors tell their patients "No salt substitutes", that is because most salt substitutes are potassium chloride. Much of the heart and blood pressure medication is potassium based. Also, you might be supplementing with potassium. If you add potassium chloride from salt substitutes you could throw off the benefits and be getting too much potassium. Bensons Salt Substitute contains no potassium chloride and will not interfere with your medications or dialysis. We never wanted to use potassium chloride because of the taste. Table Tasty Salt Substitute tastes salty with no bitter aftertaste. Ponderosa Wild Game & Beef Salt-Free Seasoning, (#115) ingredients listed, for both big game, small game, even beef. A very aromatic blend. Heritage Game Birds, Poultry & Stuffings/Dressings Salt-Free Seasoning, (#116) ingredients listed, for game birds both upland birds and waterfowl as well as stuffings, even chicken, and turkey. Smells like Thanksgiving. Bravado Tex-Mex Chili Salt-Free Seasoning, (#117) ingredients listed, using 7 different chili peppers, for a well rounded, chili. We show you how to make chili with the best chili recipes for Venison chili, Vegetarian chili, Ground Turkey chili. Also use in tacos, ranch beans, a Spanish omelet, red chili gravy (enchilada sauce) etc. Mix it to Table Tasty Salt Substitute at about a 50/50 blend (adjust to your taste to get a very tasty Dorito like flavor, and it's salt-free. Bensons Gourmet Salt-Free Seasonings are creative blends of herbs, spices, and vegetables. You can use any of the seasonings any way you want. The descriptions listed above are just guidelines for the tastiest results. Think of each seasoning as adding a different flavor. Some seasonings are better used with dry heat cooking, some are better used with moist heat cooking. Some of the seasonings are better used sprinkled on and some of the seasonings are better used when mixed in. The key here is that your salt-free diet is better when Bensons Gourmet Salt-Free Seasonings are used. Use the salt-free seasonings you like and you will like the food you are eating. Bensons Gourmet Seasonings has a variety of low sodium, sugar-free, and many gluten-free recipes to help teach you some tricks and techniques for tasty low sodium cooking. You'll find low sodium chicken and poultry, fish and seafood, vegetarian recipes for each Bensons Gourmet Salt Free Seasonings. This way your chicken, fish and vegetables will not always taste the same. There are also low sodium recipes for beef, lamb, recipes for ground meats (ground beef, ground lamb, ground chicken, and ground turkey). Salt free recipes for salads and low sodium salad dressings as salad dressings can be salt-free but still high in sodium. There are salt free recipes for stews, for beans and we are working to add more salt-free soup recipes. Salt free recipes for soup are a challenge. To get good flavor in a soup without salt and without using canned broths or boullion cubes (even the low sodium ones), is not easy. Trying to make the soup making process easy and not take a long time, is also a challenge, but we are working on it. Adding our Table Tasty salt substitute to anything, especially soups, stews and beans, is amazingly good. We strive for easy, h eart healthy, delicious, low sodium recipes. Bensons Gourmet salt free recipes, include recipes from the every day comfort foods to the special occasions. Not all salt free recipes are low sodium. A salt free recipe may not have salt added but it might use boullion cubes or chicken broth or something else that is high in sodium. Even using some of the lower sodium products, when added up may be too high in sodium for a low sodium diet. Understand that adding a little might be ok but too much of a high sodium ingredient, would make your low sodium recipe into a high sodium recipe even though there was no salt added. Expect to have great results even if you don’t know how to cook very well, especially for a low sodium diet. Many of the recipes have a twist of uniqueness that even the most experienced cook will to want to try. Our salt free recipes focus on everyday cooking. You will find many one pan meals that cook in just twenty minutes to one hour using all fresh ingredients. We call it cooking in the old world style, but not all day. Most of our salt free recipes are low carb for your low carb diet. These low carb recipes are also easily adaptable to your diabetic diet, to your gluten-free diet and easily adaptable to the most restrictive diets, such as the kidney or renal diet. Give Benson’s Gourmet Seasonings a try because flavor is the key and we have the flavor already figured out for you, nice and easy. It's good flavor that will help you stick to and enjoy your heart healthy, salt free, low sodium diet. Use Benson's Gourmet Salt-Free Sugar-Free, Gluten-Free Seasonings, and your healthier lifestyle will look good, smell terrific and best of all, taste great! Chef AJ's Recipes focus on no salt, no sugar, no oil, healthy eating.